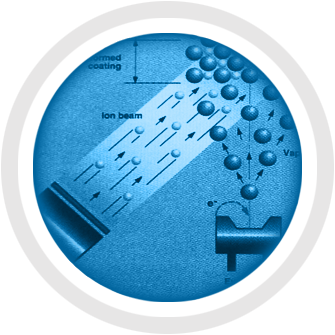 AMP offers thin film coating services utilizing electron beam evaporation, ion beam assisted deposition (IBAD) and sputtering technologies for a variety of applications. Our state of the art Low Temperature Ion Beam Assisted Deposition (IBAD) technology can deposit virtually any material on metallic, ceramic, polymer and glass substrates with excellent adhesion and film properties. AMP provides a range of Anti-Reflection (AR) coatings from UV to IR wavelength. 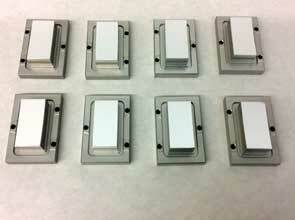 We offer single layer MgF2 and high performance all dielectric multilayer BBAR coatings. We offer reflective metal coatings such as Ag, Al, Au, protected metal coatings with MgF2 or SiO2 or enhanced metal with multilayer dielectric films. AMP also offers high performance all dielectric high reflective coatings. We offer a host of performance enhancing surface treatments and coatings for medical devices for biocompatibility, conductivity, low friction, wear resistance, and radiopacity. AMP offers a variety of single element, nitride, and oxide coatings such as Ti, Pd, Pt, Au, Al, Ag, W, AlN, TaN, TiN, ITO, CrN, Si3N4, SiO2, TiO2 and VO2. 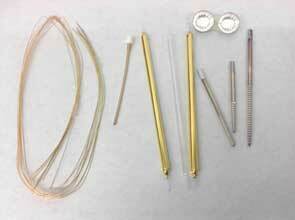 Tantalum Nitride (TaN) is used as a thin film resistor in a variety of applications. Indium Thin Oxide (ITO) is a transparent conductive layer that can be deposited on a variety of substrates such as glass and polymers. Vanadium Oxide (VO2) has many applications in microelectronics, sensors and electro-optical device applications. The thermochromic phase transition between the transparent semiconductive and reflective conductive phase occurs at 68°C in a very short time. We can deposit Vanadium Oxide at low and high temperature. AMP also supplies evaporation materials, sputtering targets, crucibles and E-beam emitter parts to the thin film and vacuum deposition industry. 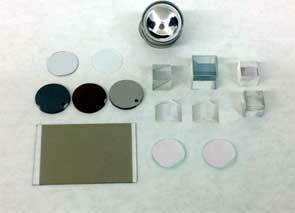 For more information see Thin Film Materials.